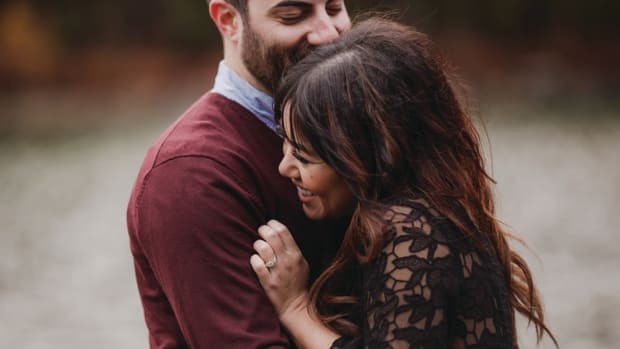 After decades of research, Dr. Gary Chapman, author of The Five Love Languages, found that everyone “speaks” a primary love language, our preferred way to express and experience love emotionally. 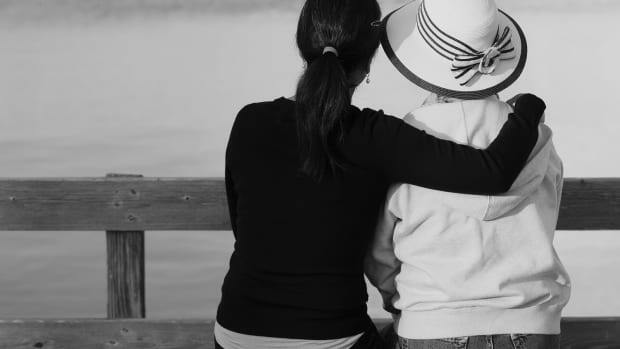 To make the mamas in our lives feel most loved, Dr. Chapman suggests thinking about how she expresses her love to others. Does she enjoy giving small thoughtful gifts, always lend a helping hand, or greet you with a warm hug? These are all clues to her love language, whether it’s words of affirmation, quality time, acts of service, physical touch, or gift giving. 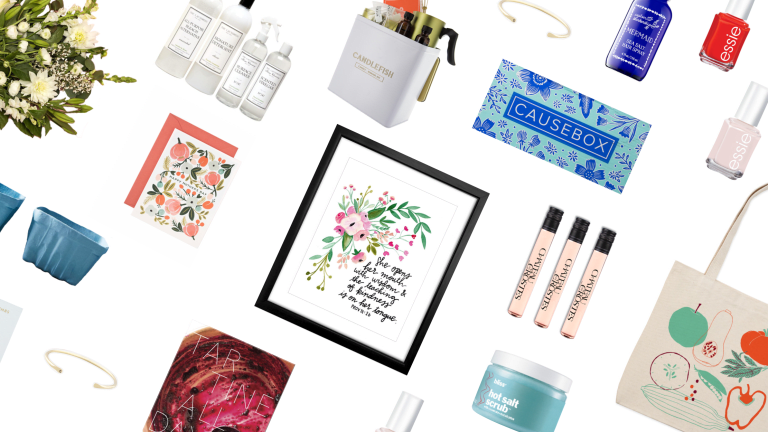 These Mother’s Day gift ideas under $50 will make everyone from your mom or grandma to your BFF feel as loved as she deserves to be on Sunday, May 14 (it only happens once a year!). If she has been a source of "You’re doing great!" "That looks lovely on you!" or "Everything will be OK" statements in your life, this mama probably feels most loved when she receives affirming words, too. 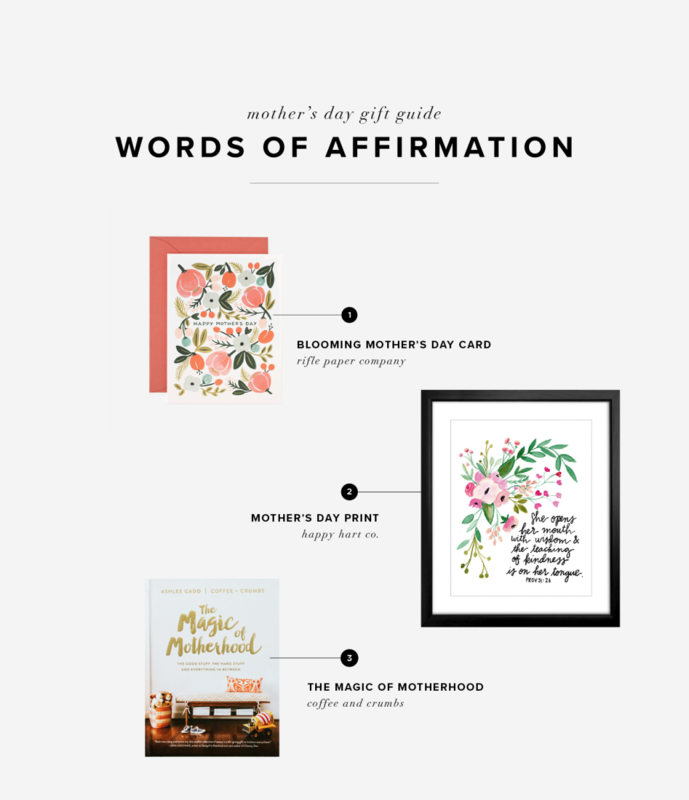 This gorgeous Blooming Mother’s Day Card ($4.50) by Rifle Paper Co. filled with your personal words of admiration and appreciation is sure to warm your mom&apos;s spirits. Then help her spread the words of love with Rifle Paper Co.&apos;s equally gorgeous set of eight Botanical Greeting Cards ($16). Especially for those whose love language is words of affirmation, the element of surprise can be just as wonderful as the words themselves. A gesture as simple as leaving a colorful print like this handmade one by Happy Hart Co. ($15) in a place she&apos;s bound to go will speak volumes. If you&apos;re no Shakespeare, let Coffee and Crumbs&apos; new book The Magic of Motherhood ($18.99), filled with stories acknowledging the good and hard stuff of motherhood, help you do the talking. This is all about giving the other person your undivided attention more than where you are or what you’re doing. Keep the distractions to a minimum by engaging in an activity you&apos;re both familiar with and enjoy rather than something new. A fun, springtime way to spend quality time with your mom is to have a "berry picnic." Go berry picking and collect the berries in this artful set of three Raw Porcelain Berry Bowls ($48) from Food52. 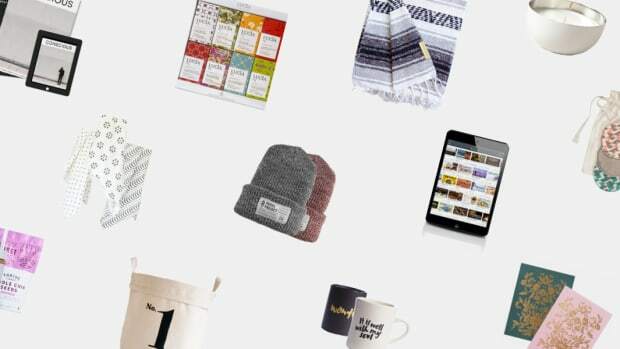 Sometimes there&apos;s nothing better than a crafty day night in. 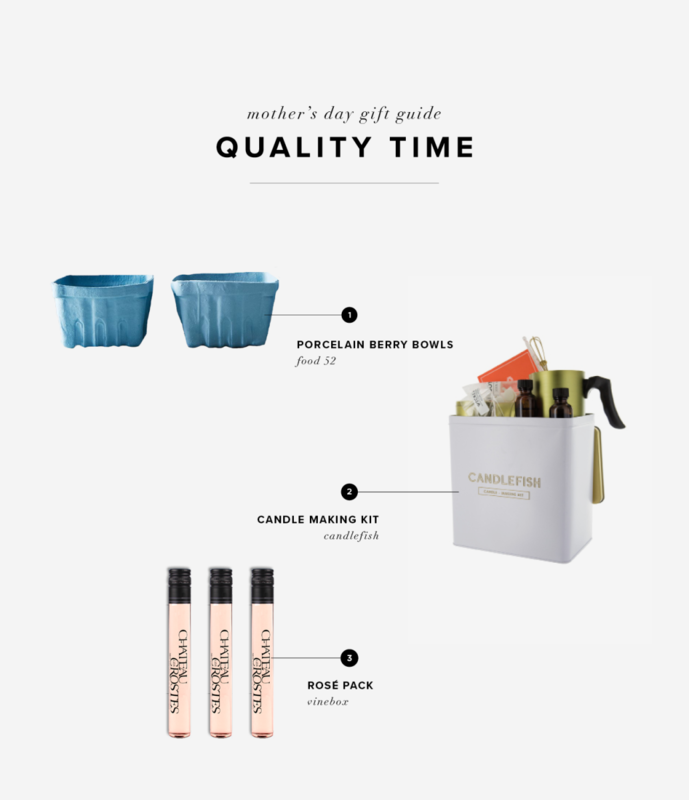 This Candlefish Candle-Making Kit ($48) has everything you need to fill six signature tins with beloved scents. If she&apos;s a wine lover, send her the exclusive Rosé Pack from Vinebox ($49). Spend the evening sampling wines from France and Italy together while reminiscing on all the fond memories you&apos;ve shared. For these women, actions speak louder than words. Chances are she&apos;s been of service more to others than to herself—and would delight in someone offering her a helping hand (or a day off). Set up a spring cleaning date—’tis the season! Why do it alone? 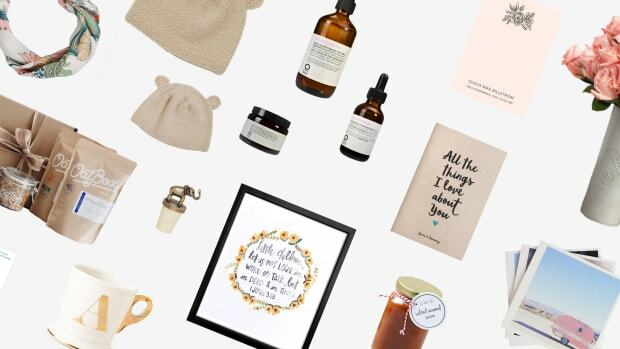 Make it a project to look forward to by including a Clean Break Kit from The Laundress ($62.50), which is free from the toxins and chemicals found in other store-bought brand detergents and home cleaners. Sign up for The Laundress&apos; newsletter and get 20 percent off your order. 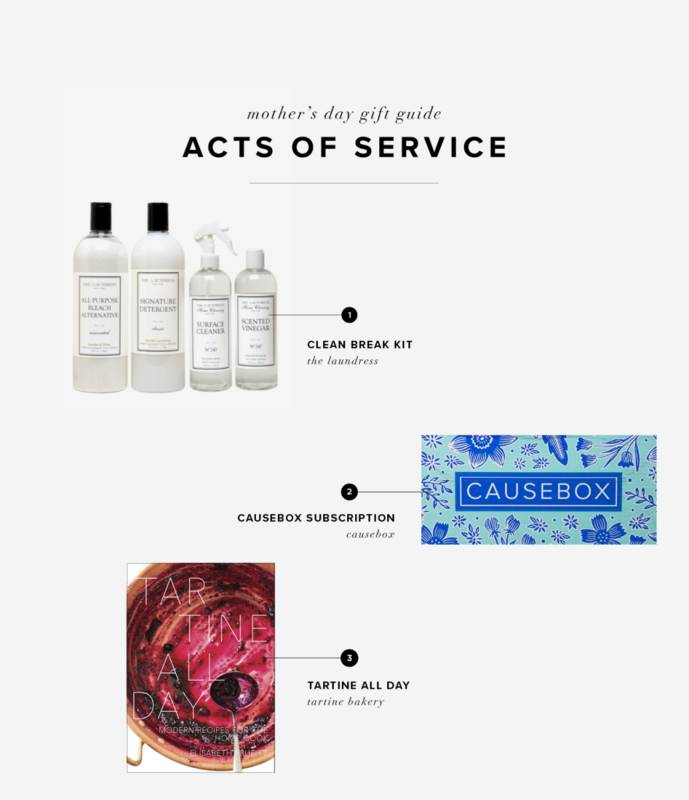 The beauty of gifting her with a lifestyle subscription to CAUSEBOX ($49.95 a quarter) is that she&apos;ll receive a limited edition curation of products from leading socially conscious brands while supporting the environment and changing other peoples&apos; lives in the process. Breakfast in bed is thoughtful, sweet, and oh-so-affordable. Whether you whip up some Crispy Waffles or Any Day Pancakes from 2017’s bestselling cookbook Tartine All Day: Modern Recipes for the Home Cook ($25), you&apos;ll show your gratitude for all the meals she has made for you growing up. Spas and massages are her best friend. Reduce her stress and relax her body with a DIY spa basket. 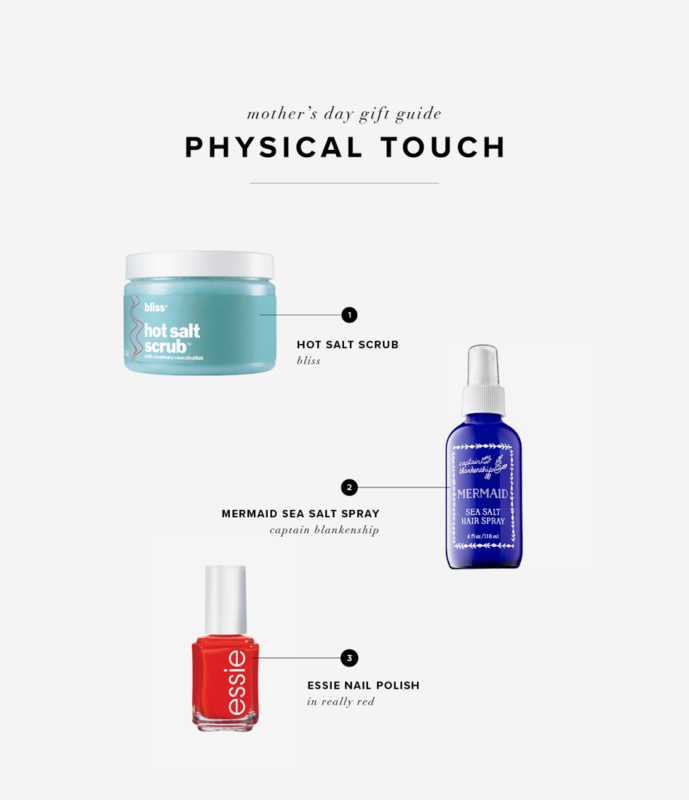 Fill it with soothing items like a scented candle, bath bombs, and Bliss Spa&apos;s Hot Salt Scrub ($38) made with soothing eucalyptus extract and a self-heating formula that will make her feel like she’s getting luxury treatment. Get Essie&apos;s Spring 2017 Collection ($35) for a mani-pedi session with fresh colorful shades inspired by sun-kissed coral, kelly green avocados, ocean waves, and pink plumeria. Treat her to an at-home blowout with a hairdryer, round brush, and Captain Blankenship&apos;s Mermaid Sea Salt Hair Spray ($24) to add texture, gentle waves, life, and volume to her locks. Dr. Chapman says, "Don’t mistake this love language for materialism; the receiver of gifts thrives on the love, thoughtfulness, and effort behind the gift." The perfect gift or gesture shows that she is known, cared for, and prized above whatever was sacrificed to bring the gift to her. Give her a piece of jewelry she can wear and treasure daily like this simple, yet meaningful Umoja Delicate Cuff ($45) by Soko, an ethical jewelry brand handmade by artisans in Kenya. 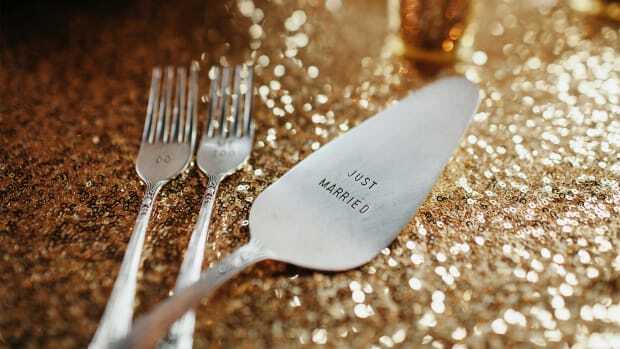 Personalize it with her initial to send a lasting message of your love and gratitude. 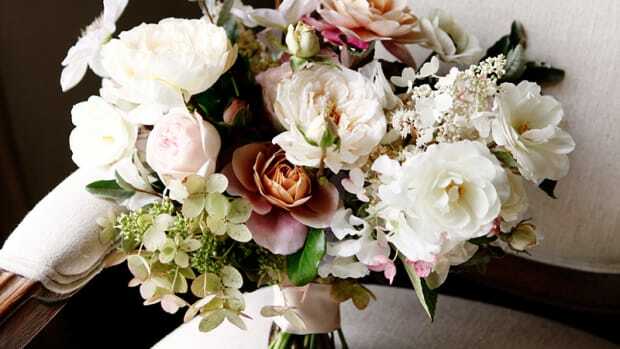 Bloom2Bloom uses fresh, U.S.-grown flowers that are hand-arranged into artisan bouquets and delivered from the farm to your doorstep. Send her a Spring Bouquet ($40-$55) filled with this season&apos;s best blooms. 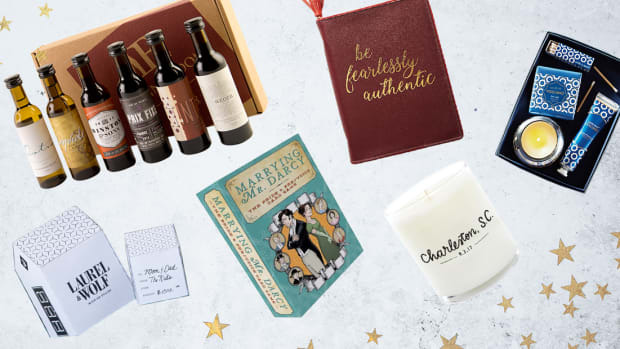 She&apos;ll smile when she finds out that a portion of the sales goes to Wish Upon a Teen, a nonprofit dedicated to providing resources, time, and opportunities to teenagers with severe life-limiting medical conditions. We&apos;re absolutely in love with illustrator Claudia Pearson&apos;s Everyday Tote ($20). 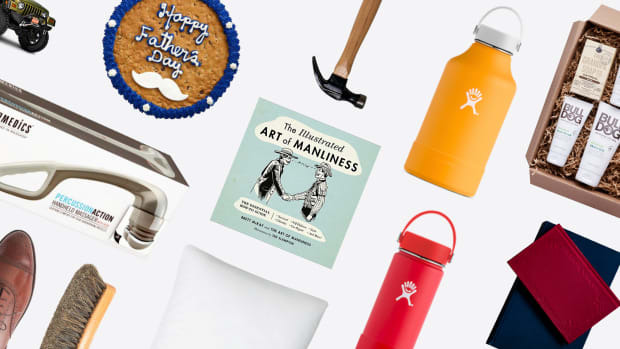 Take your pick of one that reflects her unique personality or a common passion you both share, whether it be camping, cats, or coffee. 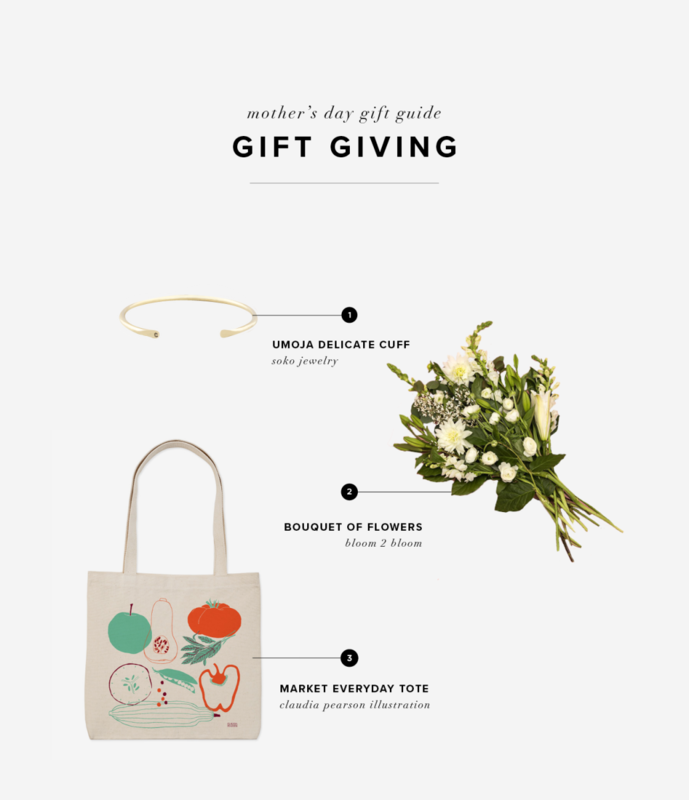 Whatever you choose for the special women in your life, we hope that some of these ideas help you find the perfect gifts that make her feel most loved this Mother’s Day.